Will Trump End 56 Years of US Embargo on Cuba? Will Trump seek more cooperative relations with other countries, prioritizing diplomacy over confrontation? Promised outreach to Russia is encouraging. Days earlier, he and Chinese President Xi Jinping spoke by phone – Xi telling him cooperation is the only choice between both countries. He responded saying he’s willing to work with Beijing cooperatively, believing bilateral relations can “definitely achieve greater development.” Both leaders agreed to meet soon. Trump’s intended relations with Cuba remain to be seen. Campaigning in September, he said he’d reverse Obama’s (dubious) diplomatic outreach by executive order unless its government meets US demands – not an encouraging sign. For 24 consecutive years, General Assembly members voted overwhelmingly for ending US-imposed embargo on Cuba, begun in October 1960 by the Eisenhower administration – violating UN Charter provisions and other international laws, affirming free trade and navigation. Obama’s 2014 pledge about “charting a new course on Cuba” concealed continuing dirty business as usual, minor easing of restrictions too little to matter – clear from US policies so far.Strategy and tactics alone changed, not objectives to exploit the island state. Embargo, limited travel and other restrictions remain unchanged. So does longstanding hostility against Cuban sovereign independence. Normalized relations aren’t possible without ending 56 years of lawless embargo – congressional authorization not needed, as falsely claimed. As head of state, Trump can act on his own. Jack Kennedy formalized embargo in 1962 by executive order, using the 1917 Trading With the Enemy Act (TWEA) as authorization, prohibiting trade with US enemies – defined as “any individual (or) government of any nation” at war with America. Cuba isn’t a US enemy as defined under TWEA. Neither country declared war on the other. 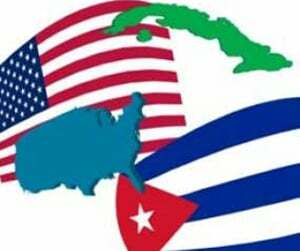 No legal authority exists for applying TWEA to US/Cuban relations. Trump can reverse 56 years of hostile US/Cuban relations with a stroke of his pen – responsibly beginning a new era of political, economic, commercial and financial normalization. It’s long overdue, both nations standing to benefit. Obama went the other way, showing little changed after his heralded March 2016 visit. Days earlier, the US Treasury Department fined National Oilwell Varco (NOV) and its Dreco Energy Services (NOV Elmar) subsidiary nearly $6 million for doing business with Cuba. From 2007 – 2009, NOV had 45 transactions totaling about $1.7 million, NOV Elmar two sales for around $103,000 in revenue – the combined total minor compared to potential billions of dollars in bilateral trade between both nations if embargo conditions were lifted.